My photography is inseparable from my life. I work in a collaborative style and the portraits of my friends and community have always reflected the energy, rebellion and passion for social change that swirls around me. I express my personal feelings and values with art that is driven by a desire to address social justice issues. The portraits in HE-SHE-THEY showcase gender-neutrality and my two-decade artistic collaborative relationship with French performance artist, Fred Koenig. HE-SHE-THEY celebrates the right to self-identify anywhere along the gender path. An individual's gender embodiment is not fixed, and can change throughout one's life, or even throughout the day. 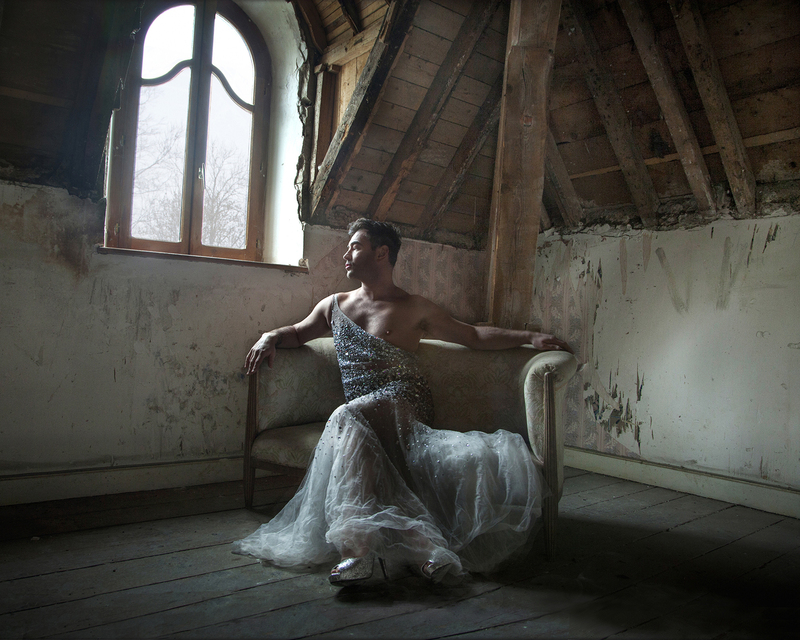 HE-SHE-THEY is a photography project in praise of sexual bravery and breaking the straightjacket of imposed identity. Trix Rosen is an artist and photojournalist living in Jersey City. Born in Brooklyn, New York, Rosen’s career has embraced the fields of fine art photography, photojournalism, portraiture and historic architectural preservation. At New York University she studied painting; afterwards she became a self-taught photographer, shooting assignments for international magazines and later i becoming a historic architectural photographer and teacher. Her art focuses on gender-fluid identity. Rosen’s work can be found in many collections, including the Library of Congress and the Smithsonian Museum. Her 1980’s lesbian, feminist slide show “MAITRESSE,” along with two photographs for the exhibition catalog, are represented in the Museum of Modern Art (MoMA) exhibition, “CLUB 57: Film, Performance and Art in the East Village, 1978-1983,”(October 31 2017 - April 8 2018). Her photographs have been represented in over 50 exhibitions in galleries and in museums including the Ceres Gallery and Hebrew Union College Museum in New York City; the Sherwin Miller Museum in Tulsa, Oklahoma; the Reece Museum in Johnson City, Tennessee; New Jersey’s George Segal Gallery in Montclair and Pierro Gallery in South Orange; and the Kepco Gallery Museum in Seoul, South Korea.